Short Steroid Cycle: Good Gains, Less Sides. A weight training program helps in a faster development of your muscles especially if you are taking anabolic steroids. These drugs help to increase blood flow and nutrients to the exercising muscle groups. - Identifying the muscle groups you want to develop. Bodybuilders often prefer to develop a varying group of muscles more than others. - Choosing the group of exercises suitable for the muscle groups identified in the previous step. Different muscle groups require different exercises to help them grow and should be chosen carefully. - Creating a weight training schedule. Choose an initial weight you are comfortable with and slowly increase it to optimize the stress over your muscles. - Keep increasing the weight, reps or sets to achieve the desired result. These steps are generally used in a typical weight training schedule. 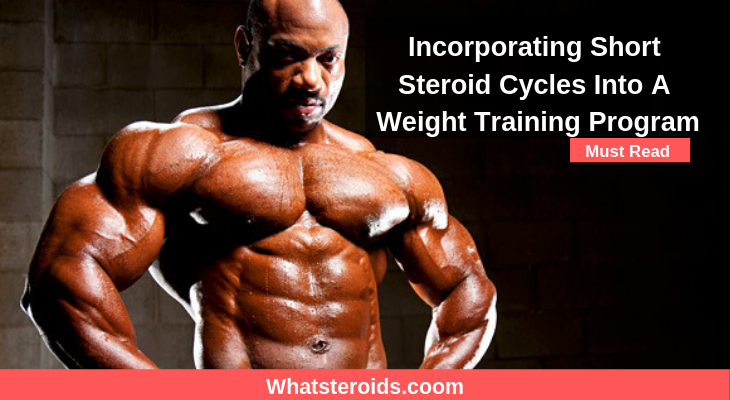 In order to speed up the process using a weight training program, anabolic steroids can be used. 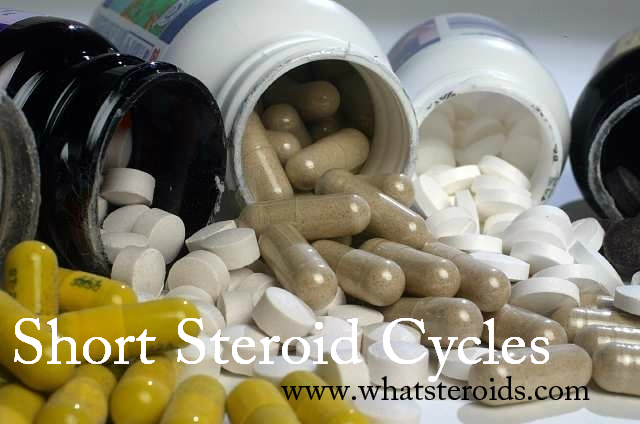 There are various forms of cycles in which steroids can be used such as a short and a long cycle. In a short steroid cycle, steroids are taken for two weeks and discontinued for two or four weeks. 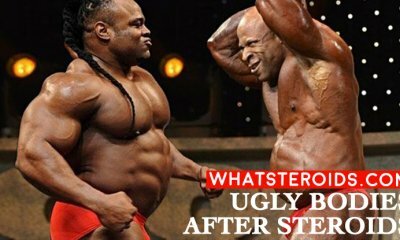 In a long cycle, steroids are taken for eight weeks or so and discontinued for a few weeks after that. These are a typical example of short and long cycles and may vary from trainer to trainer. 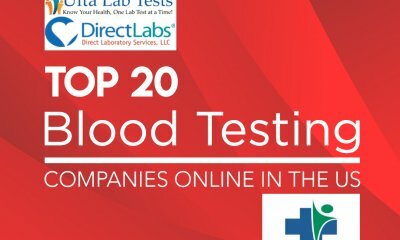 How to Incorporate Steroids into a Short Cycle? 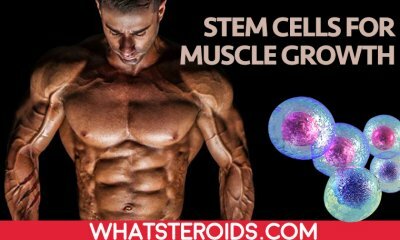 Using anabolic steroids and exercises in a concert will help build your muscles in a speedy and safe way without any hindrance to your day to day life. As described above, these basic steps remain the same for your training. Start your training with the chosen weights. 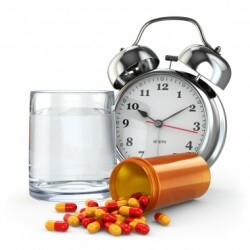 Intake of steroids for a short period of two weeks helps increase testosterone in your blood. 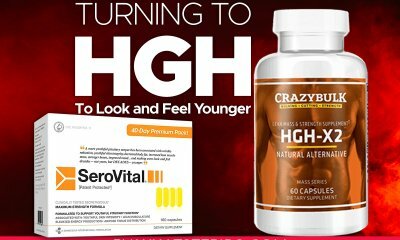 Testosterone increases blood flow and nutrients to the muscle groups and helps them grow. Continue taking steroids for two weeks. 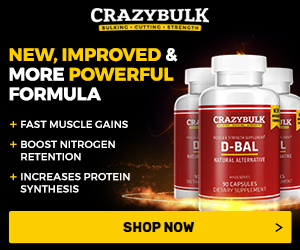 Watch this video about Steroid Cycle Theories by Rich Piana to find out what this well-known bodybuilder says about short steroid cycle. After starting the anabolic steroids, start increasing your weight by a small increment of around 5%. You cannot increase the weight indefinitely but you can reach your maximum limit. You can keep your reps same and reduce the number of sets to avoid overstressing the muscles. 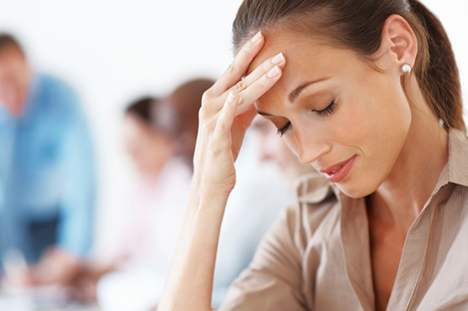 You will still be able to reach a higher stress level and weight. For example, you can start at 2×9 at 100 lb and with each further week drop a rep and add 10 lb. You finish at 2×3 at 180 lb, which is a 10 lb improvement on your start. The two weeks that the steroid is to be taken can also be varied. 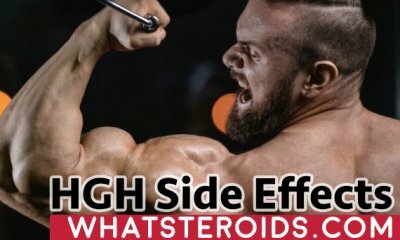 You can start your training and start steroid intake to aid in the increments of weight and then actually increase to your maximum weight/reps. For example, start using in the 6-rep week and continue through the 3-rep week. 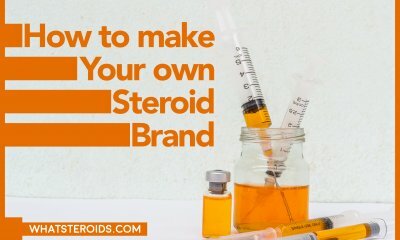 Another option is to take steroids in only the weeks with maximum weight and reps and discontinuing in the rest of the weeks to provide a steroid-free environment to your body. For example, steroid use can start in the 6-rep week and end in the 4-rep week, which provides a 3-on /4-off pattern. Incorporating steroids in your short weight training cycle is requires a pre-planned schedule with an emphasis on the result that you desire. It is always advisable to take professional help when planning your training schedule. 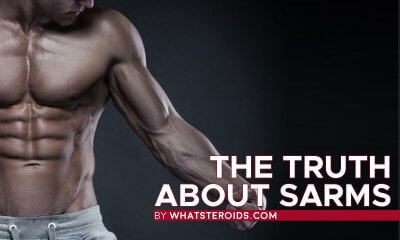 Measure Twice, Cut Once: Things To Know About Steroids Before Using Them.